Series of eight digital prints in light boxes. This series of images address the artist’s experience as a daughter, and more specifically, the role reversal that occurred when her mother became terminally ill and succumbed to metastasized breast cancer. Utilizing family photographs and video, her mother’s MRI brain scans, nature, and her own body as source materials, she develops metaphors between matriarchal relationships and the seasons of the year. The artist was forced to continue life with only her mother’s memory as a guide. During the advanced stages of her mother’s illness, the artist became the nurturer and maternal figure for her own mother. The mother became her daughter’s child. 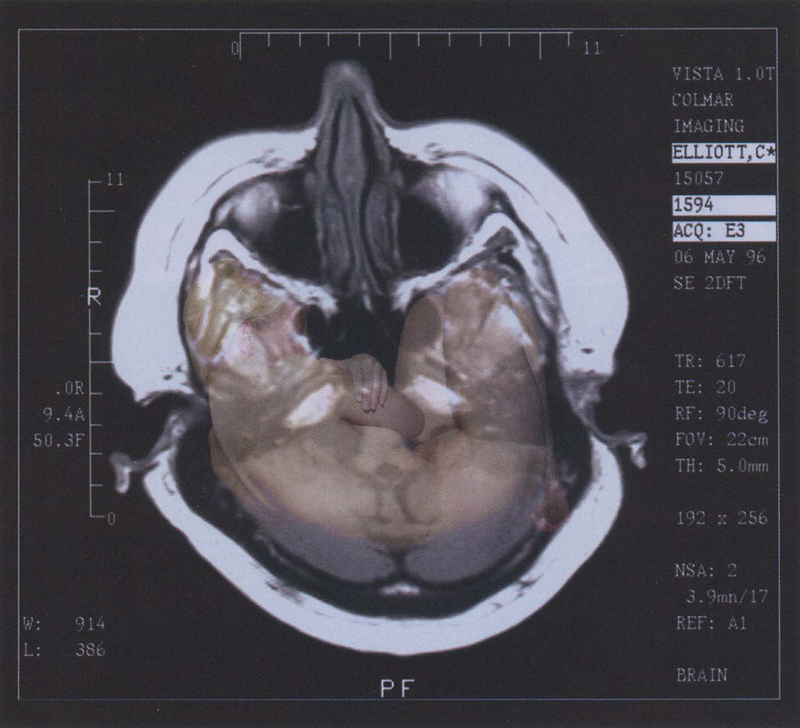 Byinserting her body into the scans of her mother’s brain, she fills the memories her mother lost as a result of disease, simultaneously attempting to hold onto her own memories for the future. The medium, illuminated prints, reflects the medical documentation (MRI scans), video sources, and the digital creation process utilized by the artist.